Again, what's the MS Recipe? What are people talking about when they talk about the recipe? Is it a tasty recipe that will help cure or at least treat MS? Or is it a recipe for living with MS, like 1 part endurance, 2 parts laughter, and 3 parts hope, mix well, or something similar? Here is the original post that started us wondering about, researching, and eventually trying essential oils as an alternative treatment for Cir's MS.
"1. When I started my protocol, I was going from RRMS to SPMS. I could hardly walk or do much of anything. It only took a few months to notice big changes and by the end of 1 year, I was doing things like "normal" people do. I used the the oils once per day, only a couple of drops per oil, neat along my spine and on location regarding oils that help with spasticity and pain. Now that I am certified as an aromatherapist, I know it is even better to use a carrier oil, especially evening primrose oil for MS. Just a 1:1 ratio is good. As far as CAM therapy goes, yes, the oils can react to certain meds, which is why I wanted to wean myself off most of my meds 1st. Essential oils are very strong and can have negative effects if used incorrectly. When using the oils it is imperative to drink plenty of water everyday to help flush out the toxins. Also, alcohol and sugary drinks, aspartame and other artificial sugars, and MSG, among other harmful food additives, must be avoided." One visitor said that each individual oil can be dropped one at a time along the neck and spine, and massaged in before going on to the next. If you have skin sensitivities, however, you may want to add them to a carrier oil such as Evening Primrose, Jojoba, or Argan, oil, to name a few. Mix them all together in a roller ball or other small container. Rub along upper or lower back depending on where your symptoms are concentrated. Cir has used this formula and actually received some benefit from it. If you have an alternate recipe, please add it in the comments below. If you'd like to try this recipe yourself, here are some oils to get you started. (Note: Purchasing from these links will benefit Life in Spite of MS monetarily). You don't have to go with these brands, however. Search around until you find some that are to your liking and within your budget. Personally, we've purchased from Young Living, Plant Guru, and Plant Therapy oils. We've purchased carrier oils and bottles as well. We found that essential oils help more than MS. I've used them in recipes for hair, skin, body butters, and more. I guarantee that once you get started with aromatherapy and essential oils, you will wonder why you hadn't tried them before. We even purchase a small diffuser because we love diffusing oils when we go to sleep at night. Lavender oil is especially calming. Have fun with them and if you decide to give it a try, let us know. We'd love to hear what you think! Go MS Recipe to Essential Oils for MS for more info. Go here for the original visitors posts as well as comments. Have You Tried Essential Oils for MS? or The MS Recipe? 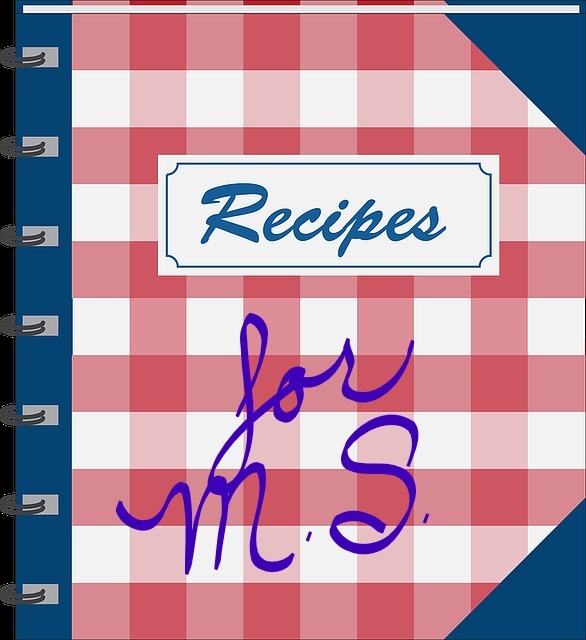 Have you tried the MS Recipe for multiple sclerosis? Do you still use this treatment? Is it working for you? Would you recommend it to others? Let us and our visitors know. We'd love to hear about your experiences! Begin typing your story here.